Eagle Heights is a multifamily property specialized for the needs of the oilfield industry and includes three tiers of residential service. Eagle Heights Development Co, a new upscale serviced apartment development in Pleasanton, Texas will be hosting an open house on June 23rd from 3-7 pm. The brand new location is celebrating the grand opening of this new housing option, specifically designed and catered to the oil and gas industry and professionals. The Pleasanton Chamber of Commerce will host a ribbon cutting for the new establishment and officials will offer an overview of the amenities and housing options available to professionals working in the area. Guests will be treated to bar-b-que and beer at the event, with live music performed by the Chris Saucedo Band, a well-known and lively music group out of San Antonio. This celebration is meant to bring together business professionals from the area, energy companies that explore and produce in the Eagle Ford area, and city and state leaders for a demonstration of the benefits of the Eagle Heights Apartments. — Reuven Bisk, Chairman and Manager of Eagle Heights Development. Along with the promise of a good time, the celebration will be of great educational benefit to the attendees. Fitting the name, Eagle Heights, the Texas-based group behind this new apartment community is committed to the majestic eagle and other birds of prey. For this reason, the group has committed to a $10,000 donation to the Last Chance Forever organization, a conservancy group for birds of prey, or raptors. The development group is calling for other organizations and companies from the area to join them in their mission to aid these animals by contributing to the fund as well, and to be recognized equally as the Eagle Champions. The Last Chance Forever organization will be attending the event and bringing several of their aid recipients with them, including a live eagle. Guests will have an opportunity to learn more about these majestic birds, their needs and how people can assist them. If any city were to be supportive of this breed, it would have to be Pleasanton, Texas – home of the Pleasanton Eagles. In so many ways, this new development, and the grand opening specifically, is connected to community surrounding them. A dedication to the community is helping city leaders to understand the importance and benefits of the new development. The local Chamber of Commerce has shown support of this new development and has encouraged others to welcome this new opportunity which will spur growth and economic stimulation to the area. — Kevin Aniol, President of the Pleasanton Chamber of Commerce. Guests at the open housewill have the opportunity to take a self-guided tour through the Eagle Heights Apartments in addition to the Texas bar-b-que and beer, live music, and eagle education. With this tour, companies and professionals will learn about this new premium housing option and why it will be a good fit for their housing needs. To learn more about this and other professional housing locations offered by Eagle Heights Development, visit www.eagleheightsdevelopment.com. Laborde Products, Inc. has been selected as a Dealer/OEM of Power Solutions International, Inc. (PSI) industrial engines. Laborde, with more than 60 years of experience in the market, is excited to announce the agreement, which extends Laborde the right to sell and service PSI’s industrial off-road commercial engines to the markets it currently conducts business. Both companies are enthusiastic about the opportunities that lie ahead. By combining PSI's leading technology with Laborde’s capacity to offer products and services of remarkable quality throughout an extensive commercial reach, Laborde is well positioned to provide the best alternative fueled power generation and oil and gas products and services. Laborde Products will focus most of their marketing efforts in the oil & gas market. The San Antonio division, known as Laborde Equipment Services, is located in South Texas where approximately 7,000 PSI engines currently operate. Laborde Products provides heavy-duty engines, diesel and natural gas-powered equipment, service and support to meet the needs of the marine and industrial markets. As an engine distributor, the company provides approximately one-third of the United States as well as the US Gulf Coast with both marine and industrial engines. PSI develops and delivers complete .97 to 22-liter power systems, including the 8.8-liter engine aimed at the industrial and on-road markets, such as medium duty fleets, delivery trucks, school buses and garbage/refuse trucks. PSI power systems are currently used worldwide in power generators, forklifts, aerial lifts, and industrial sweepers, as well as in oil and gas, aircraft ground support, agricultural and construction equipment. Heartland Energy Group, Ltd (HEG) is excited to announce our Grand Opening in San Antonio, TX. In addition to our Texas plant, we have other facilities strategically placed throughout the United States to enable us to service all your Oil and Gas needs! HEG offers proven technologies for the safe replacement of dangerous acids, caustics, solvents, surfactants and other companion products. Our green chemistries meet or exceed the EPA’s strict approval guidelines and are formulated with the ingredients listed on CleanGredients and the EPA’s Design for the Environment inventory list. These formulas represent a series of green chemistries that are functional yet safe alternatives, not only for the oil and gas companies who use them, but the citizens who live and work around major oil and gas activity. DfE approvals serve as a benchmark to answer the ongoing environmental questions about the safety of the products that are being used in our world daily. HEG’s products represent a significant advancement in allowing companies to “Go Green” and to offer a truly effective and safer alternative to problems that have plagued the industry for decades. 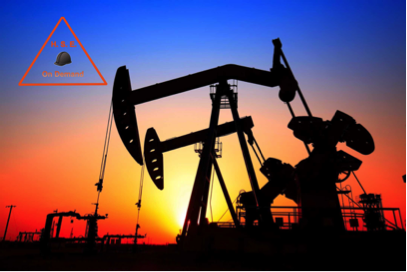 These problems include hazardous transportation issues, containment, exposure and safety of personnel to toxic chemicals, groundwater contamination issues caused from hydraulic fracturing and the destruction of industry related equipment due to corrosive chemistries. The solution? 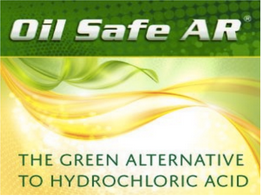 Green chemistry products like the HCl substitute created by the experts at Heartland Energy Group, Ltd.
HEG will continue to manufacture, innovate and pioneer new “GO GREEN” technologies that truly improve our environment and offer functional replacements for harsh acids, caustics and solvents, notably our flagship HCl substitute. This technology will further enhance and eliminate the need for dangerous chemicals associated with stimulation and production chemicals. Most importantly, we listen to the needs of our customers and implement environmentally safe solutions. Our green technologies, personal touch and commitment to quality set us apart from other companies in our growing industry. Bradleys, Inc., a nationally-recognized leader in the electric motor repair industry, is pleased to have been recognized as a TECO-Westinghouse Blue Diamond Tier I Supplier for 2013. Bradleys has provided large electric motor repair, rewinding, horizontal and vertical motor load testing, CNC machining, field services, new motor sales, and climate-controlled motor storage to petrochemical, refining, manufacturing and mining industries for over 85 years. The company’s 110,000 square foot facility rests in the heart of South Texas, just sixty miles from the prolific Eagle Ford Shale oil fields, and employs over 100 motor repair and testing professionals. The prestigious Blue Diamond Tier I Award is awarded to less than 1% of all TECO-Westinghouse suppliers worldwide. The award scoring process requires outstanding excellence in the following areas: Quality, Cost, Delivery and Service. “A supplier has to rank at 95% or above in all four categories to be recognized as a Tier I supplier, said a TECO-Westinghouse’s Supply Chain spokesperson, “and it takes a solid 98% to reach a level of excellence worthy of a Blue Diamond Award.” “Time and time again, Bradleys has continued to prove itself a reliable and dependable organization, meeting our delivery schedules, and providing high quality service, while maintaining competitive pricing. These are only a few reasons Bradleys, Inc. was selected to receive the Blue Diamond Award. The Blue Diamond Award is only given to those suppliers that are the best of the best,” he said. In addition to the Blue Diamond Award, TECO-Westinghouse also awarded Bradleys the “Outstanding Delivery” Award and the “Outstanding Quality” Award for 2013. Bradleys’ performance in these areas ranked at 100%. For more information, visit www.bradleysmotors.com, or call Darlene Gregory at 361-904-0044 or email dgregory@eastmeetswestproductions.com.